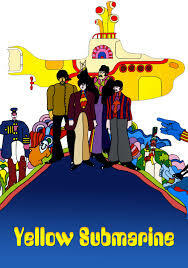 Join us for this 21 & up ONLY Screening of Yellow Submarine. Beer and Sam & Louie’s Pizza will be available for purchase to enjoy during the movie. Advance tickets & beer combos will go on sale 9/4/2018. Avoid the line – buy ahead of time! Purchases and admission for this event 21+ only. No refunds.